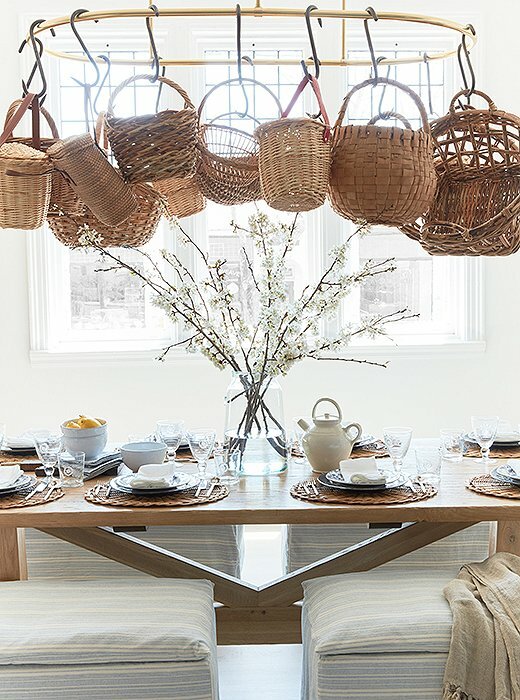 I often talk about using baskets for stylish storage options, but baskets are terrific too for decorative accents throughout the home. 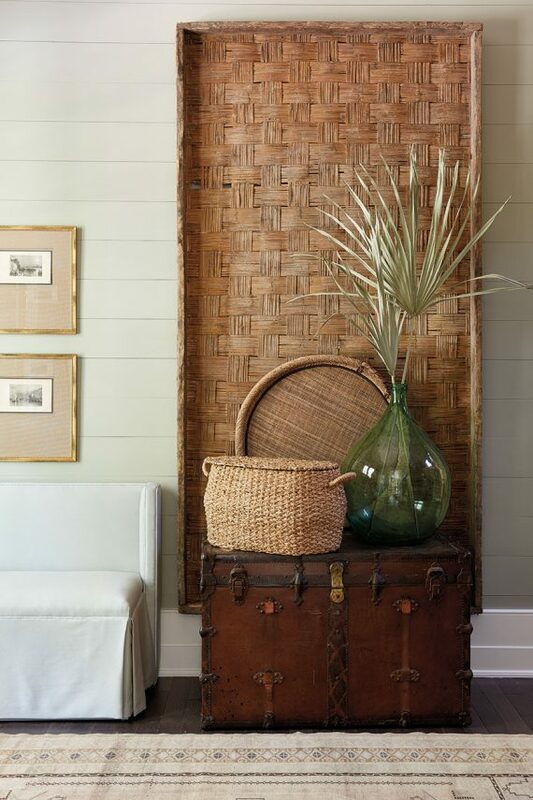 I’ve spotted a few favorite images features woven beauties in a variety of spaces including the dining room. kitchen and a babies’ nursery. 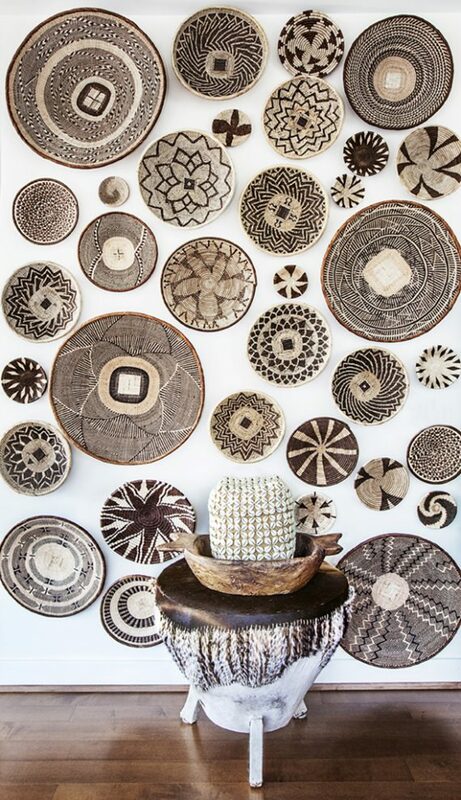 I’m loving the incredible wall below featuring beautiful African baskets – what a head turner! Our spring has been cooler than usual and is taking its own sweet time to arrive. 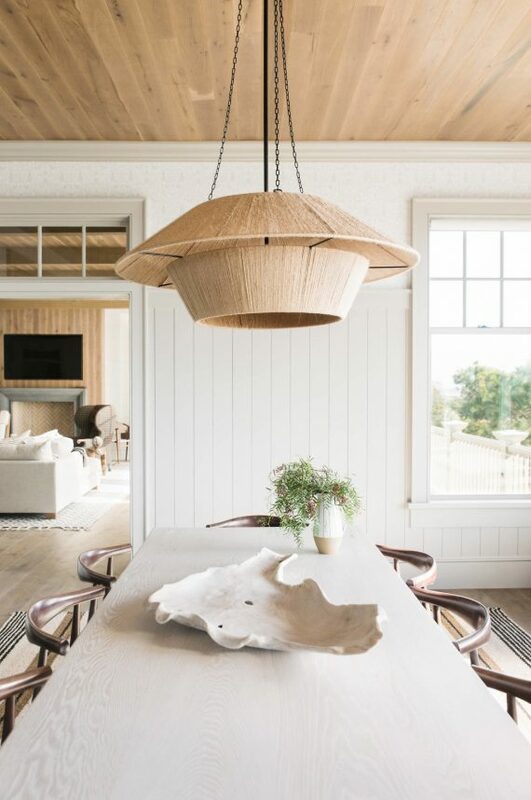 It has me longing for the long warm days of summer and I think that’s why I’m so drawn to the beautiful South Carolina beach house designed by Cortney Bishop. 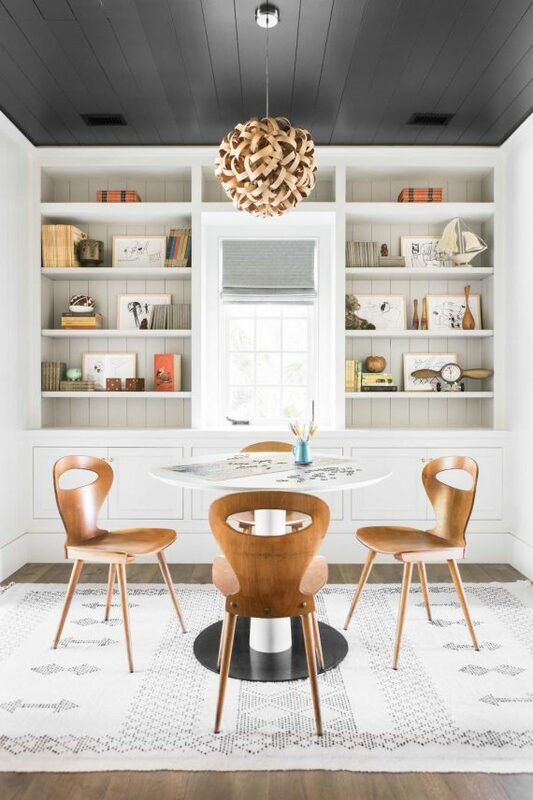 The interior’s simple white backdrop is paired with pops of contrasting blacks and grays. 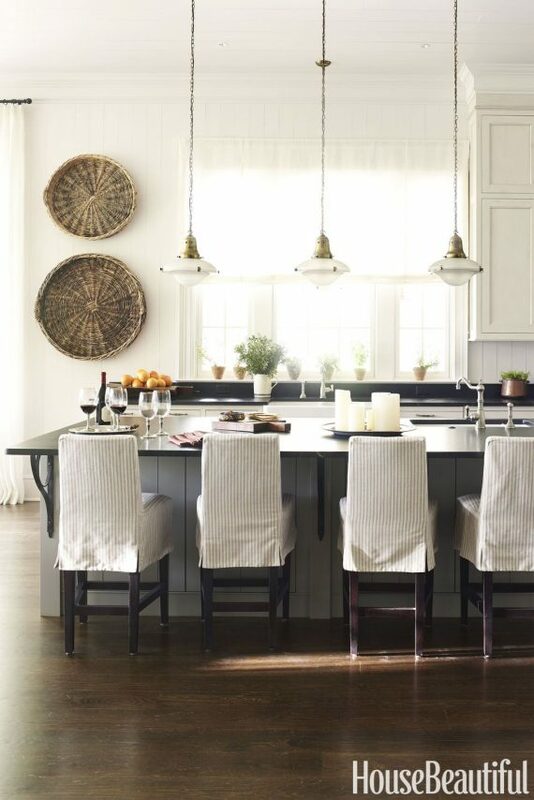 Warmer wood accents are featured in furnishings, cabinetry and ceiling details. And of course, I’m a huge fan of the large windows and all that natural light. The views of the Atlantic Ocean must me amazing. 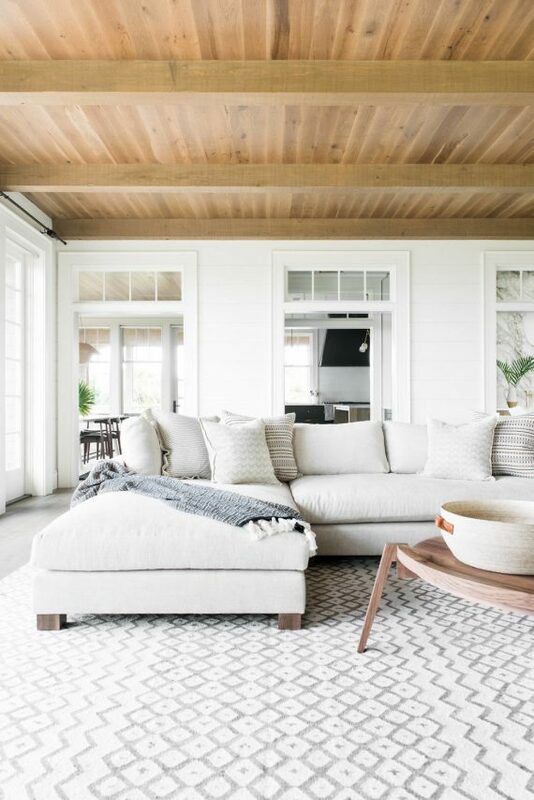 Take a a little beach house tour . . . The kiddo’s spaces shown below are perhaps my favorite. The bunk room is so chic and functional. 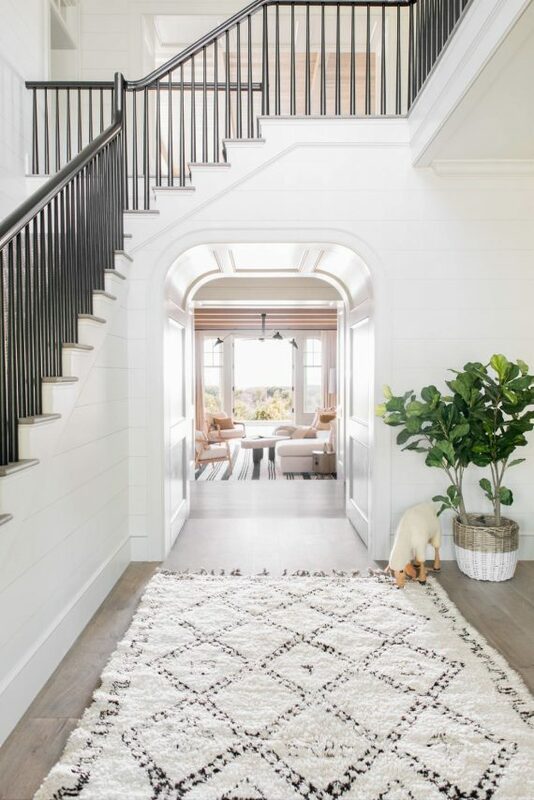 I love how it leads to a game room. 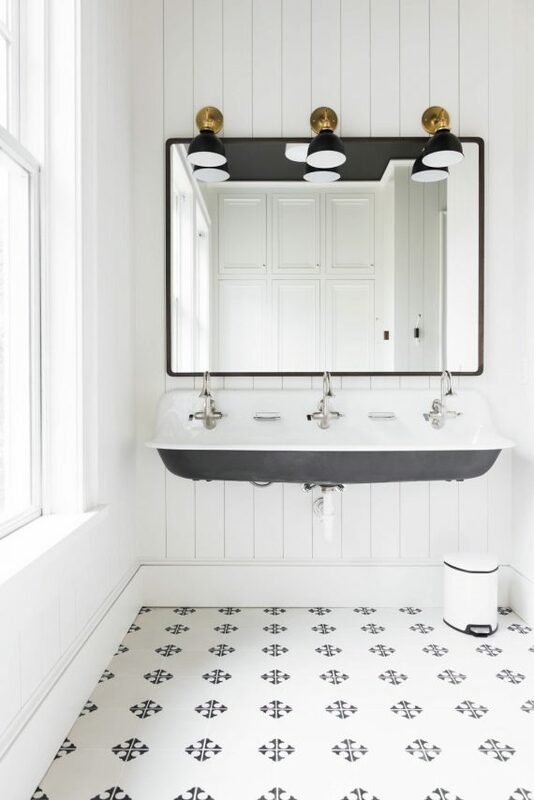 The black triple faucet sink is the best too. disclosure: This tassel blankets post contains some affiliate links, which means Simplified Bee receives commission if you make a purchase using these links. I know you been spotting them on instagram and pinterest too… large tassel blankets thrown over the foot of a bed. 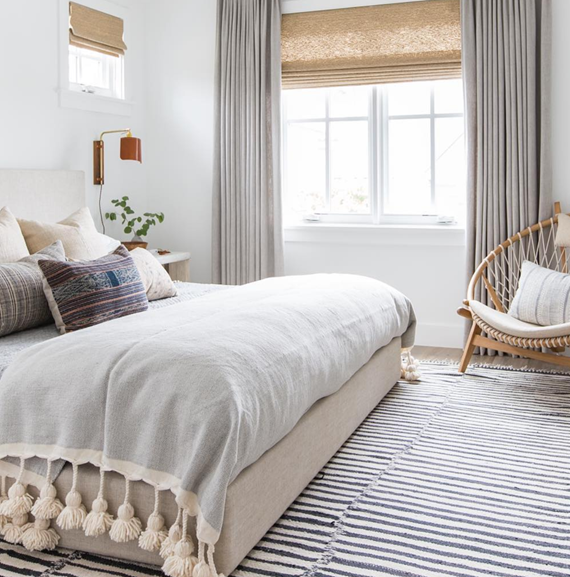 The layered look like in this room designed by Amber Interiors is a great way to add color, pattern or texture to a bedroom. And let’s not forget how cozy an extra blanket during the winter months ahead. 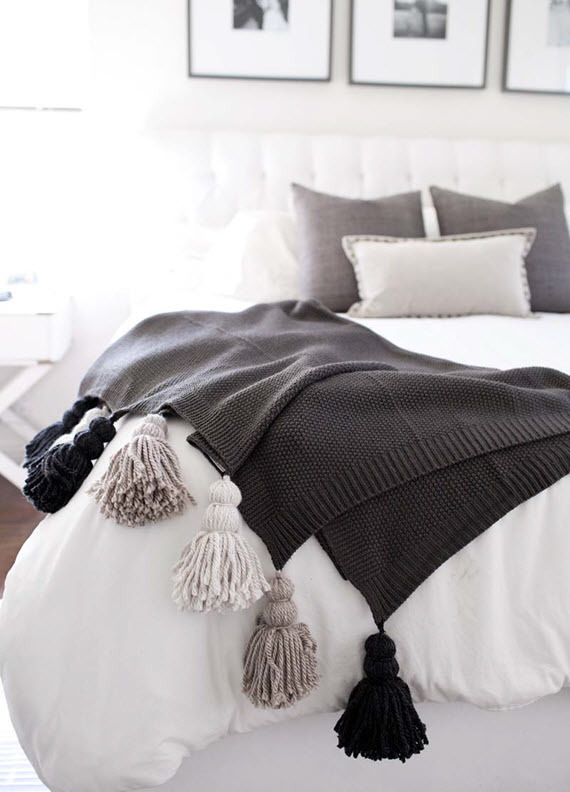 If you are up for some crafting… here is a simple, diy tassel blanket I spotted on Design Sponge. So cute! Not in the diy mood? 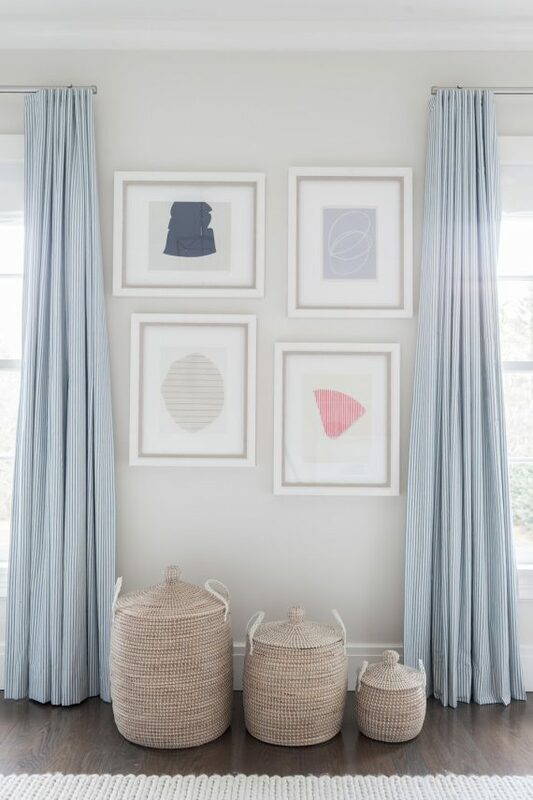 Don’t worry, for today’s Friday Finds I’ve rounded-up a few favorite tassel blankets in wonderful neutral colors. Happy weekend! 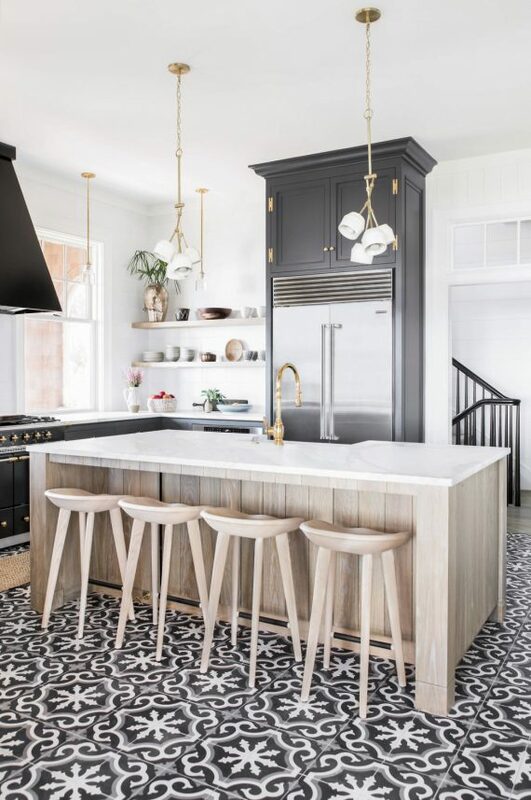 disclosure: This post, classic stripe patterns contains some affiliate links, which means Simplified Bee receives commission if you make a purchase using these links. Summer and stripes go hand-in-hand. 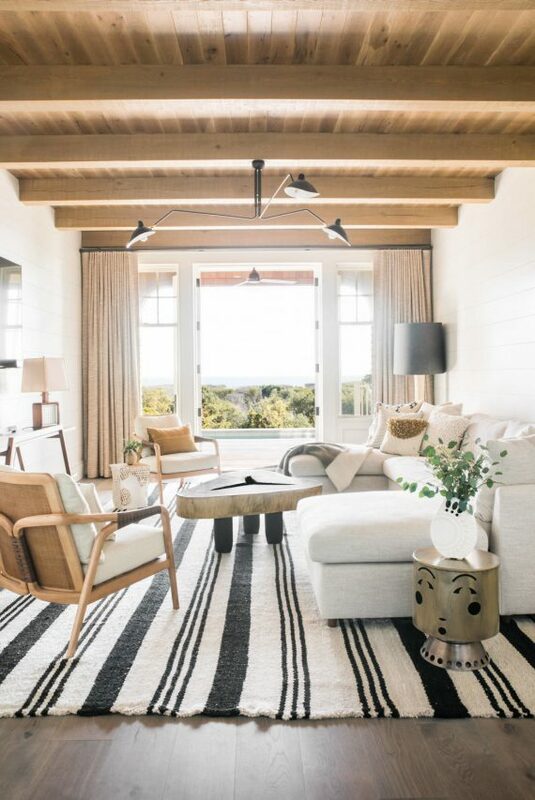 From awnings to chairs, pillows to rugs you can find classic stripe patterns popping up in homes in all styles. 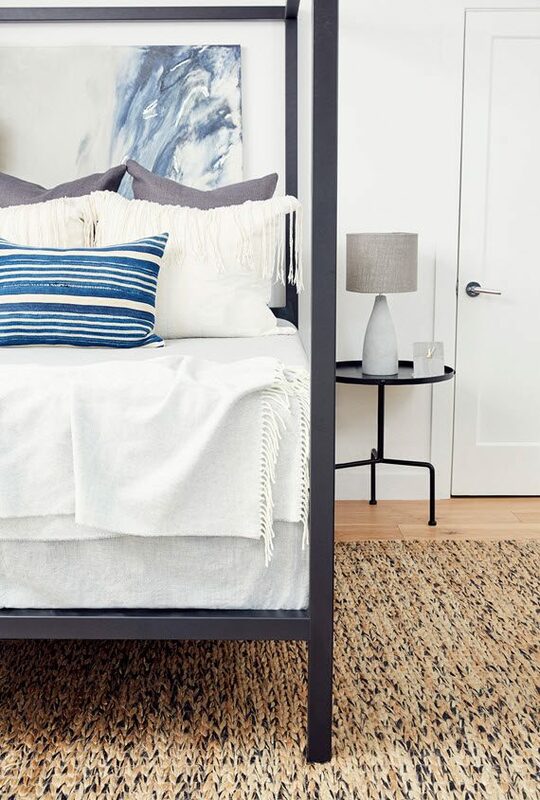 The bedroom above designed by Alexis Manfer (as seen in Rue Magazine), features an indigo striped throw pillow tops the bed adding a pop of color and pattern to the space. Such a chic touch! 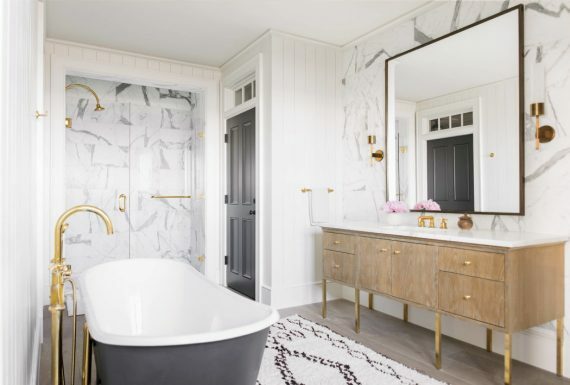 Today, I’ve rounded-up a few home decor favorites featuring stripe patterns – some traditional, some modern and all super stylish.